One of the world’s leading exponents of the music of Chopin and John Field, pianist Miceal O’Rourke is no stranger to Sligo, where he holidays every year. Though living in Paris, his heart is in his native country and Con Brio is delighted to welcome him again to Sligo. The music of Chopin will figure largely in Miceal O’Rourke’s performances in the Chopin bicentenary year 2010. A lifelong commitment to Chopin is mirrored in the many solo recitals and concerto performances which he has given internationally. He has performed the Chopin concertos with such orchestras as the Boston Pops, St. Petersburg Philharmonic, the Slovak and Lithuanian Philharmonics, the Crakow Philharmonic, the RTÉ NSO and many others. 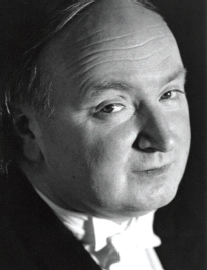 In 1994, O’Rourke was awarded the Chopin Medal by the Fryderyk Chopin Society of Warsaw in recognition of his “outstanding Chopin playing”. In recent years he has devoted an increasing amount of time to chamber music and in the past two concert seasons he has performed with distinguished chamber musicians in Russia, Israel, France, Denmark, Lithuania and the USA. This autumn he is invited to perform in Copenhagen, Paris and Moscow, and he will return once more to Russia in the winter for concerts in Moscow, Samara and central Siberian cities. In February he will perform the first set of Debussy Preludes in conjunction with a showing of impressionist and symbolist paintings at the National Gallery of Art in Washington. Other highlights in 2009 – 2010 include concerto performances in Hong Kong and Lithuania.